Photo courtesy of Europcar Australia. 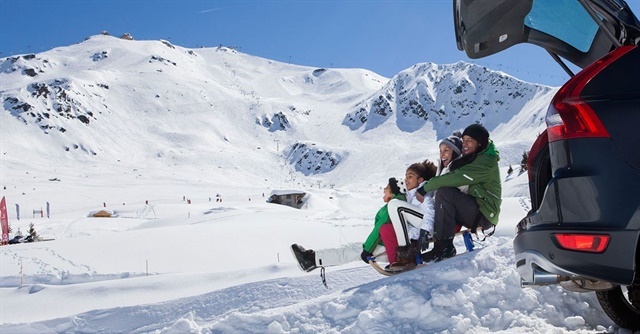 Europcar Australia will offer ski carrier cars this winter with the introduction of its specialized Mitsubishi Outlander fleet. The Mitsubishi Outlander vehicles are fitted with Thule racks that can hold up to six skis or four snowboards. These vehicles are currently available through Europcar city and airport locations in Melbourne, Sydney, and Canberra, according to the company. The snow package also comes with a set of snow chains as well as snow coverage for accidents that occur above the snow line. “We understand our customers’ needs and are committed to investing in safe travel solutions and continue to look at new initiatives that we can introduce to positively impact our customers’ experience,” said Santiago.